All photos courtesy of Petite Passport. Pauline Egge is the keen eye behind design-centric blog , one of our 24 Best Travel Blogs and Websites of 2014. 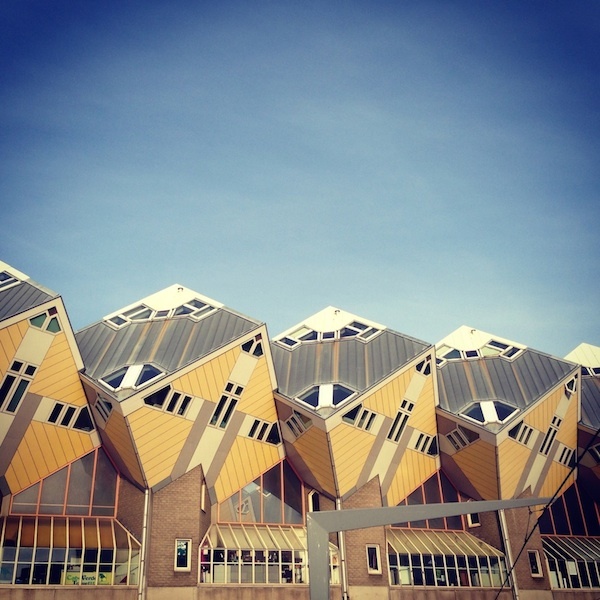 A gracious hostess, she takes us on a virtual tour of her home city of Rotterdam. Local breakfast spot: The is close to my home. They always have the latest magazines and newspapers lying around and it's just a cool vibe. They also have a small terrace in summer. When I need inspiration I go running along the river Maas. They call it Manhattan on the Maas. 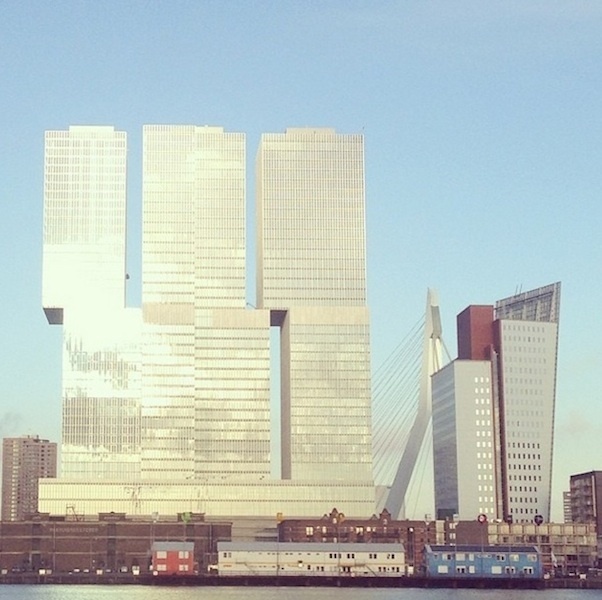 Rotterdam was bombed during World War II and has been rebuilt with modernism in mind. Rotterdam looks forward by looking up — that's why you will see beautiful architecture on this route, from the much talked about De Rotterdam skyscraper by Rem Koolhaas to the new . The garden along the Maas was designed by Piet Oudolf, the same garden architect of The High Line in New York. Running clears my mind and inspires at the same time. Best spot for people watching: on the Nieuwe Binnenweg. It's a barbershop that doesn't allow women and does not take reservations. On Saturdays, guys sporting tattoos and cool style line up for hours waiting for a haircut or shave. An additional shop is opening across the street. The famous Kubuswoningen (Cube House) is right in the author's neighborhood. Your office is located: At home. Close to the . I wish my office was located: Somewhere close to the beach, preferably in Spain. The best thing about my neighbourhood is that it's close to everything in the city. The river Maas, the market, the shops, de Pannenkoekstraat, and the center. That's why I love living where I live. My preferred mode of travelling in Rotterdam: By car. You'll find cool things in all the different parts of the city. You can go by bike, but I prefer driving there. 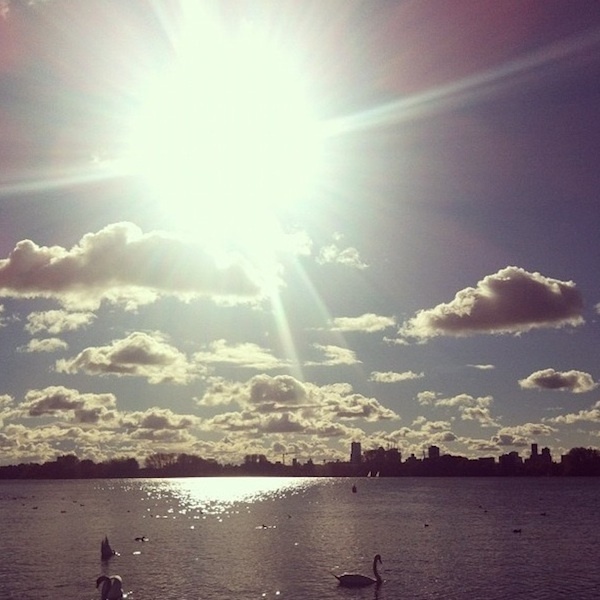 For a gorgeous view of the city, Pauline goes to Kralinse Plas. The route for your favorite city joy ride: I like two routes. One is when I drive from Amsterdam to Rotterdam: I enter the city via Blijdorp and, especially during sunset on a sunny day, I'll see the skyline and think, "Yes, I'm home." The other is from Rotterdam Zuid to the Erasmusbridge: It's stunning when the bridge comes into sight. For a beautiful stroll, I go to the Kralingse Plas, a park in the city with lovely skyline views. Where do you go when you want to be in the middle of it all? The . It's when the whole city devotes itself to jazz, with pop-up concerts in hotel lobbies and other venues. Where do you go when you need an escape: The beach in Ouddorp because it's quiet, spacious, and does not have many people. It's a 45-minute drive from Rotterdam. Otherwise it's , a beautiful restaurant in the nearby small city of Dordrecht. Favorite local shops: is a beautiful clothing shop on the Pannenkoekstraat (Pancake Street). They sell European brands like Mother, Vanessa Bruno, and Les Prairies de Paris. The neighborhood is cool. You will find great shops around there and the terrace at is a perfect spot to catch rays in summer. (the Rotterdam word for "proud") is the one store you really have to visit. I wish every city had one. 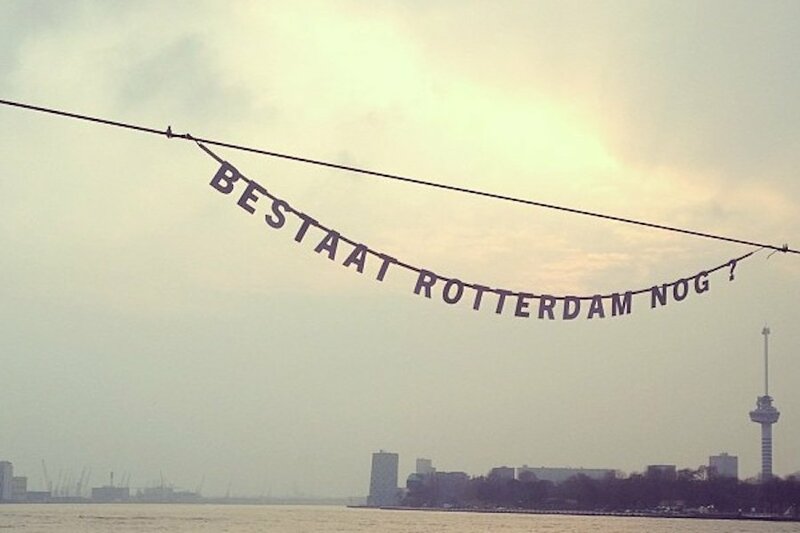 They sell fashion, design, books, and more all designed by Rotterdammers. Here you'll get the ultimate souvenir — not the touristy stuff like magnets, but real high-end design. Best place for an afternoon coffee: . To be honest, I don't drink coffee so I usually order tea with something sweet with it. (But they serve the best coffee in the Netherlands, even Esquire thinks so.) It's the atmosphere I really like — a big communal table where you see people working on their laptops or reading through the latest magazines. Best place to socialize with a view: The newly opened . You can go to the 7th floor to drink something against a great urban backdrop. You dream about your meal of poffertjeskraam, a typical Dutch dish of tiny pancakes with sugar and butter. Delicious! And of course you have to try apple pie at and fries at (not all at once or you'll get sick). My favorite restaurant in Rotterdam is , an Italian spot in Kralingen near the Kralingse Plas. A low-budget, high-design spot, Student Hotel. Favorite budget spot: The Kitchen in the in Rotterdam. Their menu changes every week and they always have one dish with meat, one with fish, and one with vegetables. You pay something like 12.50 euros for it. The interior is cool and the crowd is international. Best way to pass an evening: I love watching movies at because it's small, old-fashioned, and they always show movies I want to see. Favorite local icons: I love the fact that internationally renowned designers like Hella Jongerius and Rem Koolhaas dedicated design pieces (a chair and a building respectively) to the city. 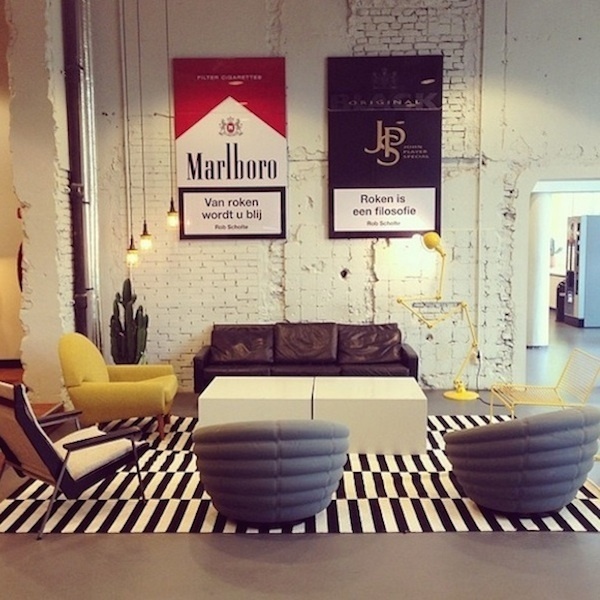 I love what Anne van der Zwaag is doing for Rotterdam's art and design. She curated the incredible White exhibit at the . Black will open later this year. Best book or movie based in Rotterdam: I know that Jackie Chan once filmed a movie here, but I haven't seen it. There's a fantastic Dutch movie called . It's about four lazy men who decide to train for the marathon in hopes of getting a sponsor to get them out of debt. It's hilarious. Most overrated thing in my city is taking a boat tour. I did that once and it was boring. It took forever and all you see is water, industry, and container ships. If you want to be on the water, take the watertaxi for three euros from the Willemskade to Hotel New York on the other side. Kop van Zuid, snapped from the center of Erasmusbridge. No trip to Rotterdam is complete without a visit to the (also a design by Rem Koolhaas), a walk to the Erasmusbridge from the center for a view of the Kop van Zuid. Don't forget to visit the other beautiful architectural sites: the new Central Station, the spectacular (a church for the homeless and people with addictions), and (one of the only structures to remain standing after the WWII attacks). It's also great to come for an event like the , the North Sea Jazz Festival (where I saw artists like Anthony Hamilton, Jill Scott, and Erykah Badu perform) and , a design festival held every February. Был найден мной нужный портал на тематику best-mining.com.ua.